IC 342 was discovered in 1895 by W.F. Denning. 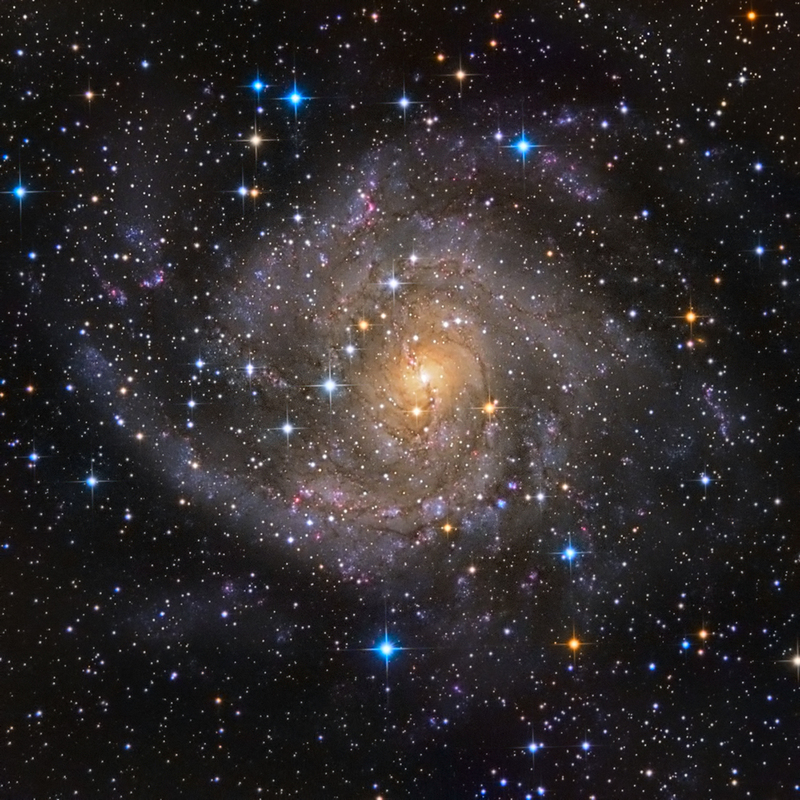 IC 342 is about 10 million light-years distant. IC 342 lies at low galactic latitude, only 10.5 degrees from the Galactic Equator, or the Milky Way's disc plane. Therefore, it is heavily obscured by interstellar matter of the Milky Way. Recent estimates give an extinction of about 2.4 magnitudes; without this extinction, this galaxy would be among the brightest in the sky. IC 342 forms a group with some large and many dwarf galaxies, the so-called Maffei 1 group, or IC 342 group, or somtimes called IC 342/Maffei group. It is one of two dominating members of that group, the other being elliptical galaxy Maffei 1, which is even more obscurred and was thus only discovered in 1968.